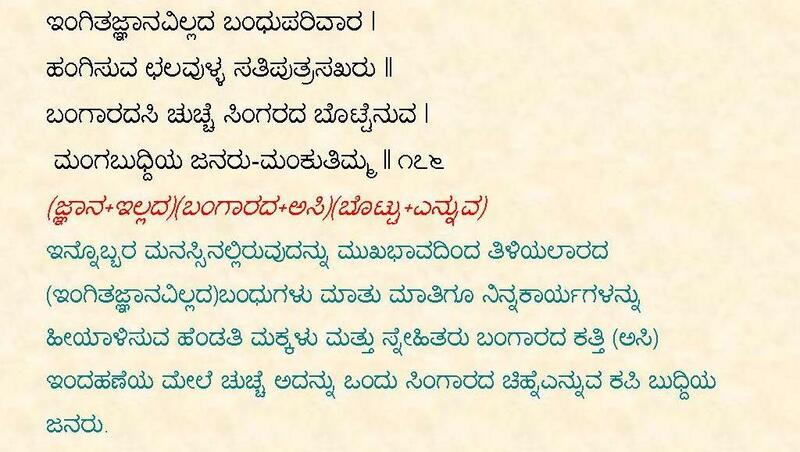 Mankuthimmana Kagga is one of the most famous and popular major literary works treated almost "21st Century Bhagavadgita in Kannada, composed by Dr. D. V. Gundappa, and published in 1943. 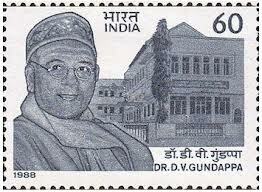 It is widely regarded as a masterpiece among the Kannada speaking population in southern India. 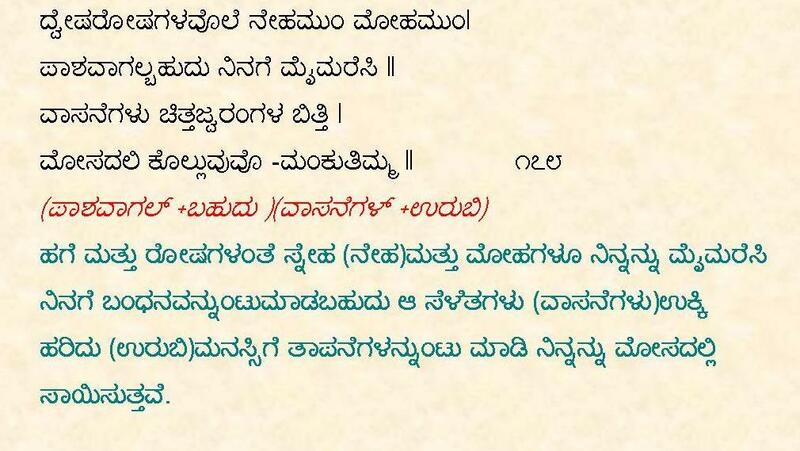 DVG is known for his simplicity and high thinking. This Kagga triggers thought process for everybody irrespective of the individuals knowledge level. Its meaning assumes wider dimensions as one repeatedly reads it. The verses are very practical, straight, rich in moral values, not confined any religion, caste or creed. It need not be read in any order . One can choose to read it randomly . Because they are called ” Muktakas”. 1. 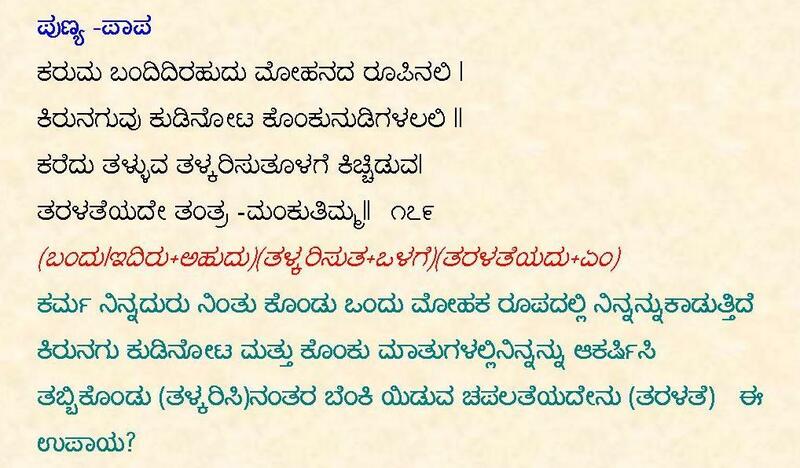 All are 4 lines (Chowpadi Rachanegalu). 2. 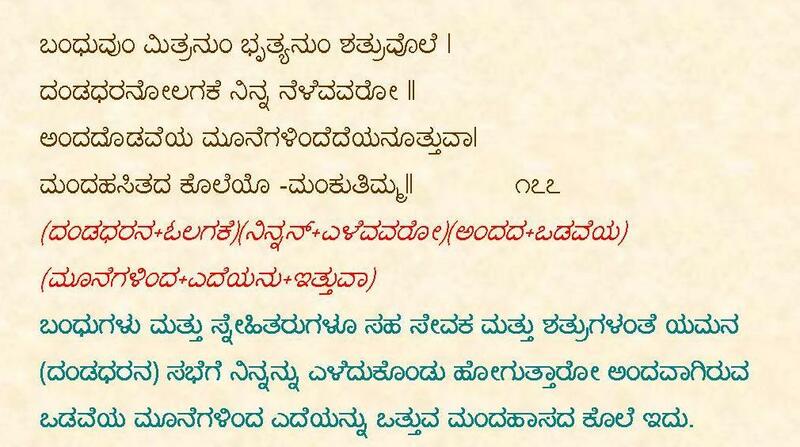 All are in (Aaadi praasa) means 2nd Letter of every line is the same (Prasa) in all the four lines. 3. They are called “Muktaka galu”. Independant verses. 4. They all end with the ankitan naama ” Mankutimma”.